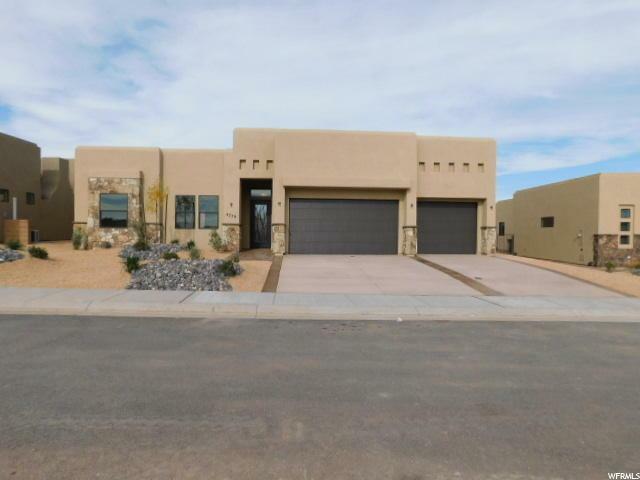 All LEDGES AT WHITE ROCK homes currently listed for sale in St. George as of 04/18/2019 are shown below. You can change the search criteria at any time by pressing the 'Change Search' button below. "Brand new home just finishing up with the landscaping and final touch's, this home is available now . Gorgeous home with 10 and 12 foot ceilings , fire place with floating mantel shelf , tile floors in family , kitchen , bathrooms and hallways , this home has 8 foot doors , custom knotty alder kitchen and bath cabinets , kitchen has 2 INCH THICK GRANITE that is so beautiful, plus solid IRON FRONT DOOR , views to the north west of Snow Canyon and the beautiful White Rocks that is known for THE LEDGES location and is a close drive within a few minutes to The Ledges Golf Course. "